SAN JOSE, CA--(Marketwire - April 14, 2010) - Cisco (NASDAQ: CSCO) today announced that it is expanding the industry's broadest portfolio of small business technology with new solutions to help small businesses connect their business to the world, secure their network and communicate more effectively. New technologies include a family of energy-efficient, unmanaged switches and a wireless virtual private network (VPN) firewall that small businesses can easily install themselves, as well as customer premises equipment that can enable service providers to deliver high-value services to small businesses. Cisco is also launching a Web-based Small Business University, where partners can find all the tools and training materials necessary to develop a successful small business practice, and two new local-language Small Business Support Communities to help partners better support their small business customers. Easy-to-Install Switches: The Cisco 100 Series Switches are a new series of energy-efficient, unmanaged switches that provide wire-speed Fast Ethernet and Gigabit Ethernet connectivity for small business offices, simply and affordably, right out of the box. The Cisco 100 Series Switches are the first series in a broad new portfolio of feature-rich, affordable Cisco Small Business Switches. Other series will be announced over the next year. Easy-to-Use Wireless Firewall: The Cisco RV 120W Wireless-N VPN Firewall allows small businesses to affordably connect to the world in a highly secure environment and provides business-class features for small businesses with 20 or fewer employees. The device includes built-in high-speed 802.11n wireless access as well as the ability to link multiple offices and remote employees to the business network with a high degree of security via VPN. The device also allows the business to segment the network to control access to files and applications and enable secure wireless guest access. Flexible Customer Premises Equipment for Service Providers: The Cisco SRP 526W and SRP 527W Services Ready Platforms are new ADSL2+ models in the Cisco SPR 500 Series of affordable customer premises equipment that enable service providers to deliver data, voice and other services to small businesses to help them connect, secure and communicate. Demand for managed services is expected to grow dramatically over the next few years. The Cisco SRP 500 Series Services Ready Platforms can help providers seize this opportunity and deliver high-value services cost effectively. The devices are also part of Cisco Hosted Small Business Communications, a complete, reliable, cost-effective customer premises equipment solution that enables service providers to deliver hosted IP telephony services to small businesses. Support and Services: Cisco has launched new and revised tools, training offerings and support communities to help partners sell and deliver technology solutions that build customer loyalty. Small Business Specialization: Updates to the specialization address the unique skills partners must have to best serve small businesses with 100 or fewer employees. The specialization now includes trainings on the complete Cisco Small Business technology portfolio, and the trainings are available for free via the Small Business University. Small Business Partner Practice Builder: An enablement platform designed to assist partners in building a successful and profitable small business practice with Cisco Small Business technology. Smart Business Roadmap: A Web-based training framework consisting of video tutorials, tools and relevant Cisco resources all designed to improve partners' solution sales skills. Small Business Technical Labs: Self-paced, hands-on technical trainings for Small Business Specialized partners. Trainings can be instructor-led or via the newly developed on-demand sessions. With the success of the original Small Business Support Communities, Cisco created two new Small Business Support Communities in Spanish and German, adding to the communities already available in English and French, which provide community-based support 24 hours a day to partners and customers. Partner Profitability: Cisco continues to invest in partner programs and flexible financing offers to help small business partners create opportunities to increase their profits, compete more effectively and build profitable, sustainable small business practices. The Small Business Partner Development Funds program provides quarterly payments to qualifying partners based on their purchases of Cisco Small Business products. Also, Cisco CapitalSM provides extended payment terms and a range of flexible financial offerings including zero-percent financing in the U.S. and Europe to qualifying partners and small businesses. Cisco 100 Series Switches list prices range from $57 to $413 USD, depending on the model. The switches are currently available worldwide except in China, where they will be available in the June 2010 timeframe. 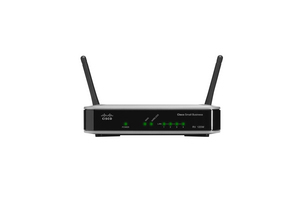 Cisco RV 120W Wireless-N VPN Firewall is listed at $189 USD and is currently available in the U.S. Canada and European Union. 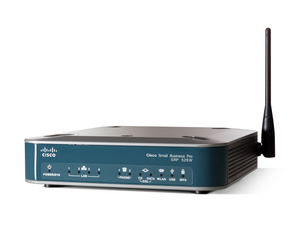 Cisco SRP 526W and SRP 527W Services Ready Platforms are listed at $300 USD. The devices are currently available in the U.S., Canada, European Union, Australia and New Zealand. "Cisco is focused on building reliable, affordable technologies that small businesses can easily use to connect their business to the world, help secure their business, and communicate more effectively. By categorizing the Cisco Small Business portfolio into connect, secure and communicate, we're helping small businesses select the right technologies to meet their core business needs and even accelerate as the economy recovers." "Listening and responding to our partners' feedback is critical to helping us develop the technologies, support, services and profitability programs they need to be successful. Our most recent Small Business Partner Pulse survey indicates that our investments are helping them build successful small business practices and, most importantly, increasing their profitability with Cisco." Read the News@Cisco Feature: "Five Tips for Improved Small Business Computer Networking"
Cisco, the Cisco logo, Cisco Systems, and Cisco Capital are registered trademarks, trademarks, or service marks of Cisco Systems, Inc. and/or its affiliates in the United States and certain other countries. All other trademarks mentioned in this document are the property of their respective owners. The use of the word partner does not imply a partnership relationship between Cisco and any other company. This document is Cisco Public Information.